Thanks to you all for comments, testing and bug reports! Opera 20 moves from the Developer Stream to the Next stream, where it’s feature complete and ready for the last phase of merciless bug squashing and optimisations for speed, glorious speed. Improved stash screenshots – goodbye blurry images! For the new release, we have refreshed the Mac disk image background a little. I think they are helpful trolls like those sometimes seen in the Norwegian mountains. In any case, they are there to guide you through the installation process. 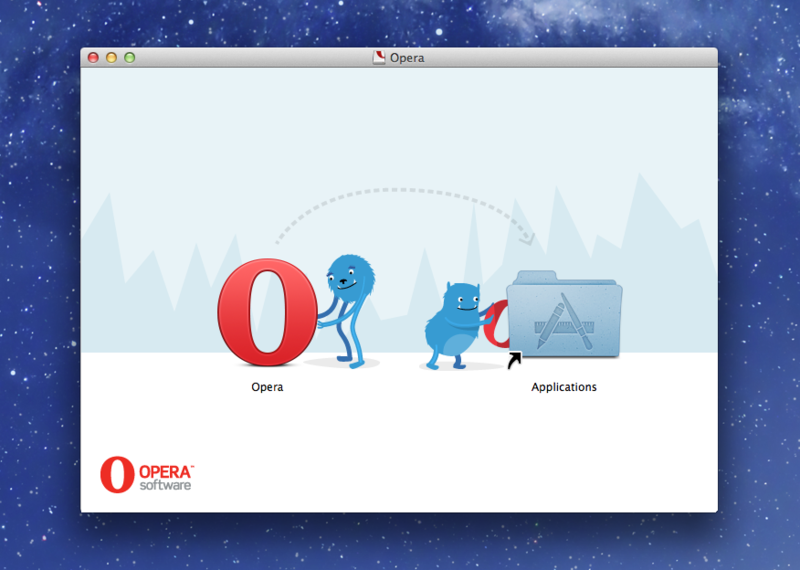 Opera Next 20 is built lovingly in Norway and Poland on top of Chromium / Blink 33. Take a look at the full changelog. Let us know if you find any bugs or problems!